Happy Thanksgiving from our little turkey. 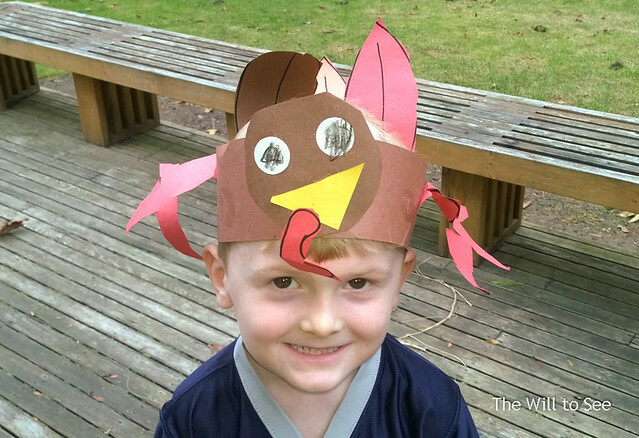 Will brought home the turkey hat and his thankful turkey from school. Last week on the way to the bus stop Will pointed out that Islay has a waddle like a turkey. 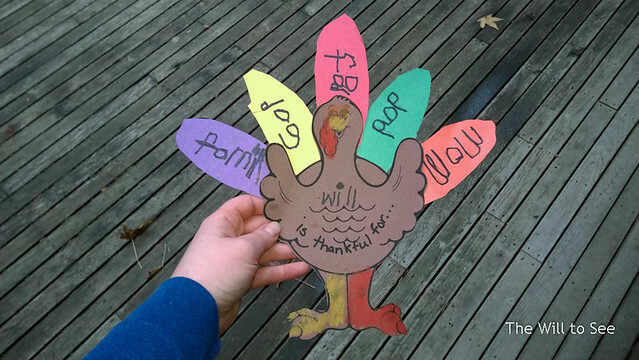 In case you need a translation on this written thankful words they are from right to left, family, dog, food, dad and mom.